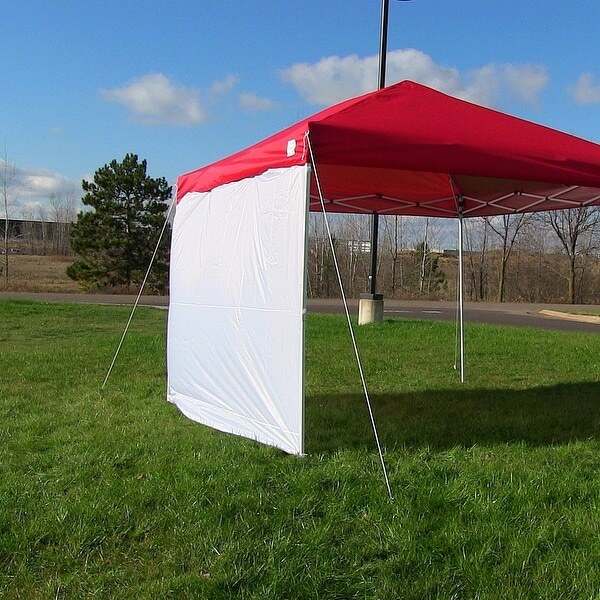 This EZ pop-up canopy sidewall kit will provide protection from the rain and sun. They're easy to put up with velcro straps. Whether the activity of the day is a sporting event, picnic, day at the beach, camping, or anything outdoors, these sidewalls will protect all from light rain and sunlight. Includes 4 white 12' wide x 6' tall sidewalls. WARRANTY: Sunnydaze Decor backs its products with a 1-year manufacturer's warranty for worry-free purchasing.